Phone service is very very popular all around the world . it mainly location in shopping mall. street and own store . mainly for phone sale , phone case , phone accessories and phone repair . 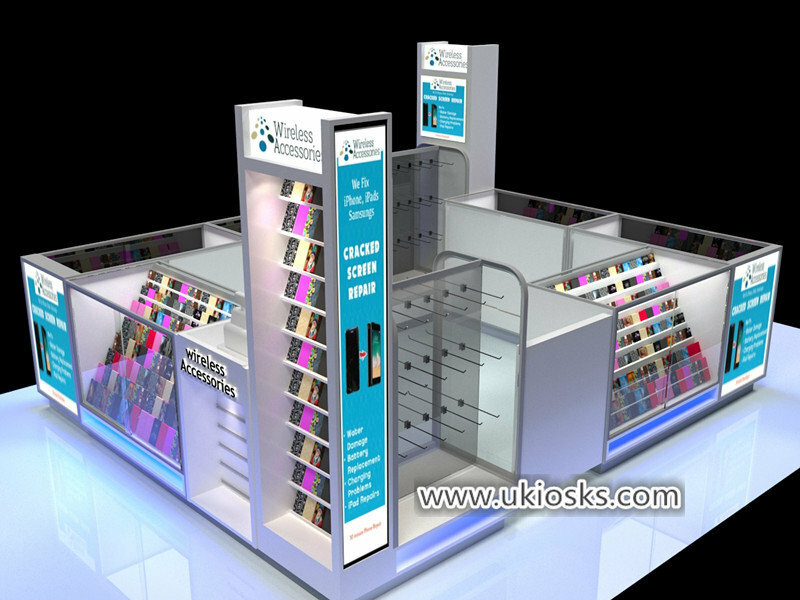 as a direct factory , We are mainly engaged in designing and building different types of mobile display kiosk and counter . Today I want to introduce a very popular mobile cabinet. If you are interested in starting your own mobile phone business, please follow me for more details. 1.Basic information about this mobile phone kiosk . Item : Mobile phone kiosk . Material : plywood, laminate , stainless steel . Color : white . can customized . 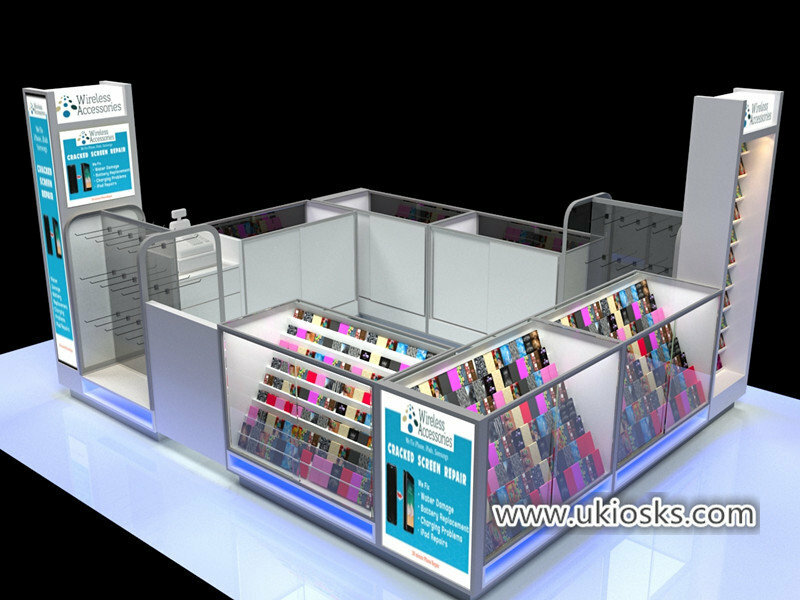 Service : mobile phone , phone case , phone accessories . 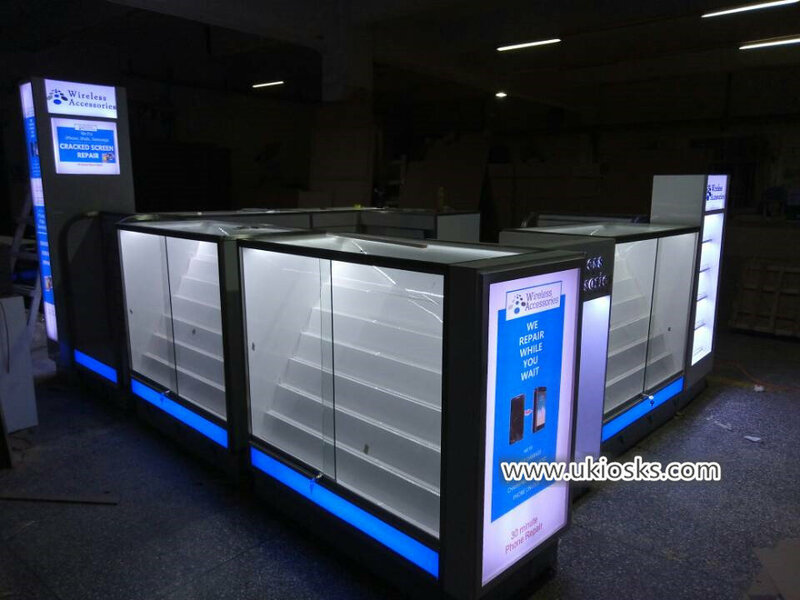 You can see this kiosk is very modern and simple , mainly tone is white , basic material is Plywood , surface is laminate , stainless steel Covered edge. blue color acrylic strip decoration hidden led light , Use ladder, aluminum trough plate, wood shelves display , Very clever expansion of the display space , the surface with many big light box showings , is very nice and bright . 3. How can i customized a mobile phone kiosk like this one ? Assemble this phone kiosk is very easy and fast . It can be assembled quickly even without any experience . 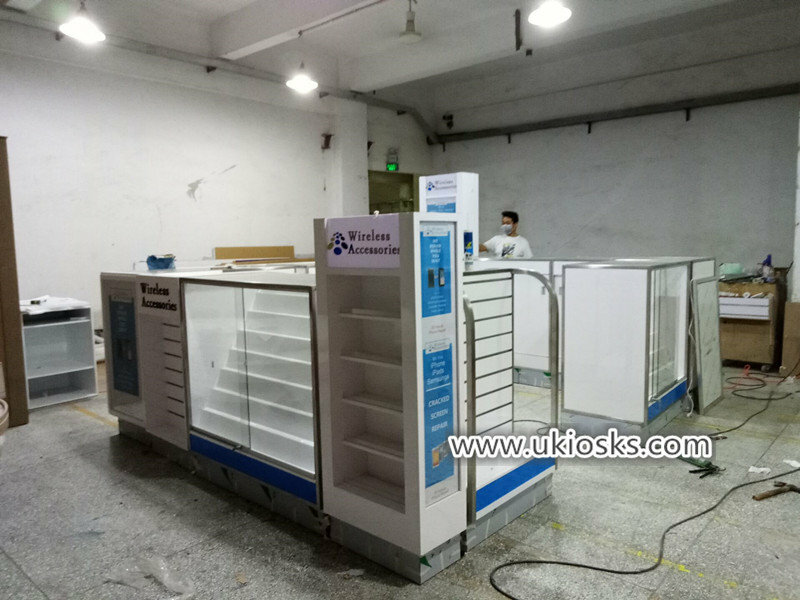 before we production this kiosk . make construction plan . you can see this kiosk will be cut to some reasonable part . put an ordinal on it , like 1, 2 , 3 , 4 …. when you received the kiosk . you just need put each part together and connect the wire is ok . Thanks for your time and reading . if you want more further info or interested build a mobile phone kiosk like this one , pls feel free to contact us as below , thank you !